Peter Klaver sent us something we don’t see here often: underwater photographs—and there are some videos as well. Peter’s captions and notes are indented. Included below are 5 full sized scuba diving photos and 5 smaller preview pictures of movie clips. With each preview picture connected to a video, I’ve provided the url of the movie clip to link to on the Delft University server, where I put the website of the holiday Rachel Wilmoth and I had ( http://dutsm1219.tudelft.net/Africa2018/ ). 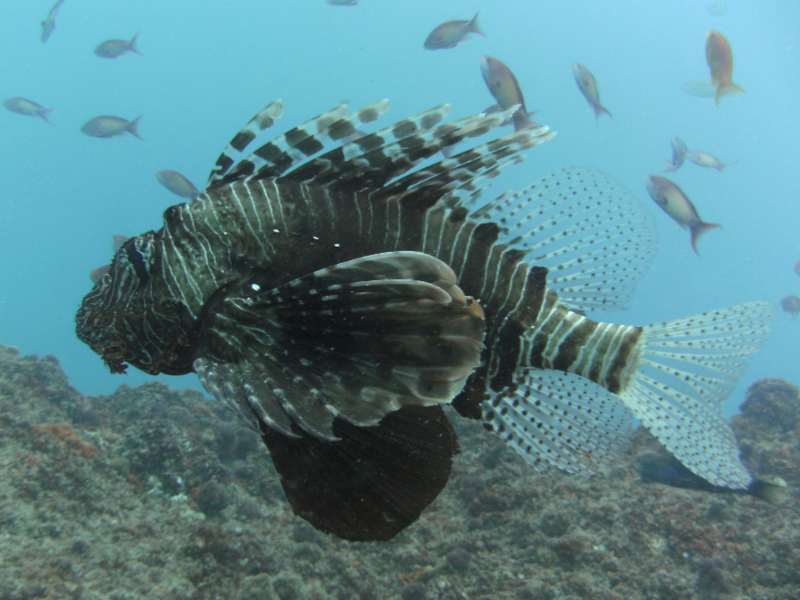 From Tofo and Vilanculos in Mozambique we did scuba diving and snorkeling and saw really beautiful underwater wildlife. I do pretty terrible in my knowledge of the Latin names of the animals; hopefully some readers can fill in the gaps and correct my mistakes. 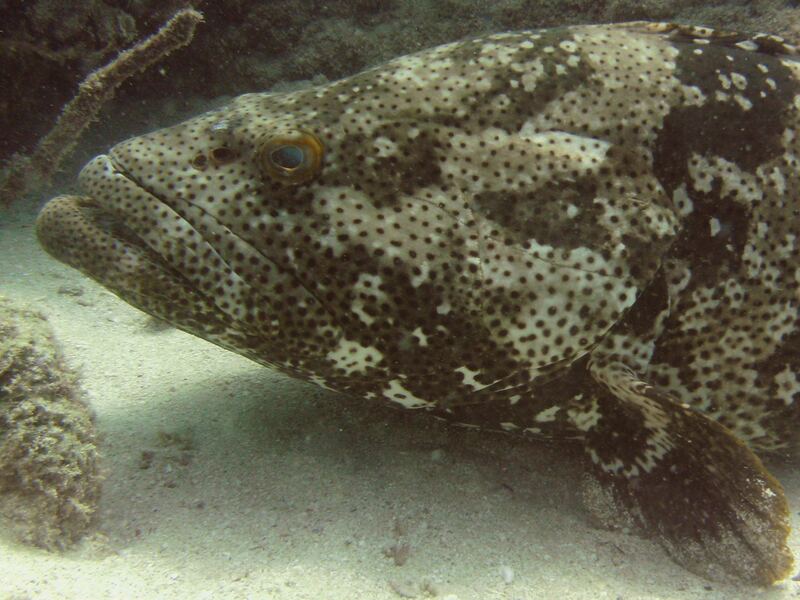 And this is a close-up of a grouper, subfamily Epinephelinae, resting on the bottom. 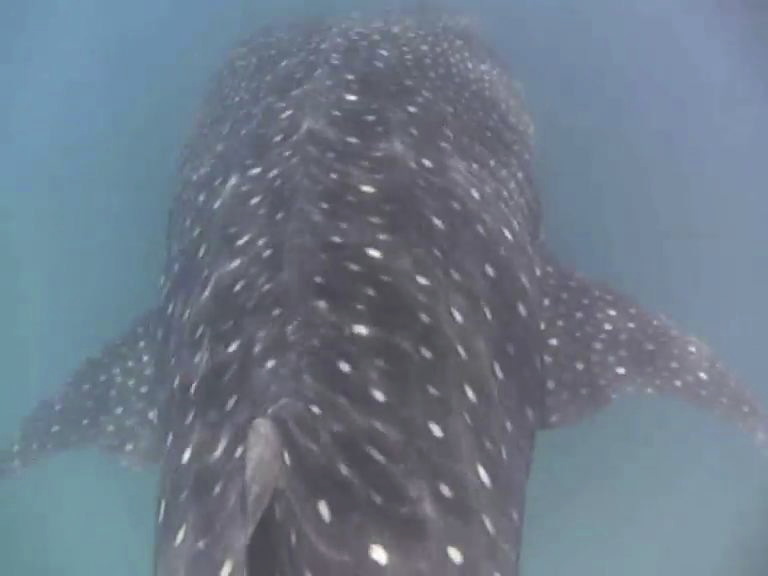 We snorkeled with a whale shark, Rhincodon typus, that was scooping up plankton near the surface (movie here). Turtles (Chelonioidea?) 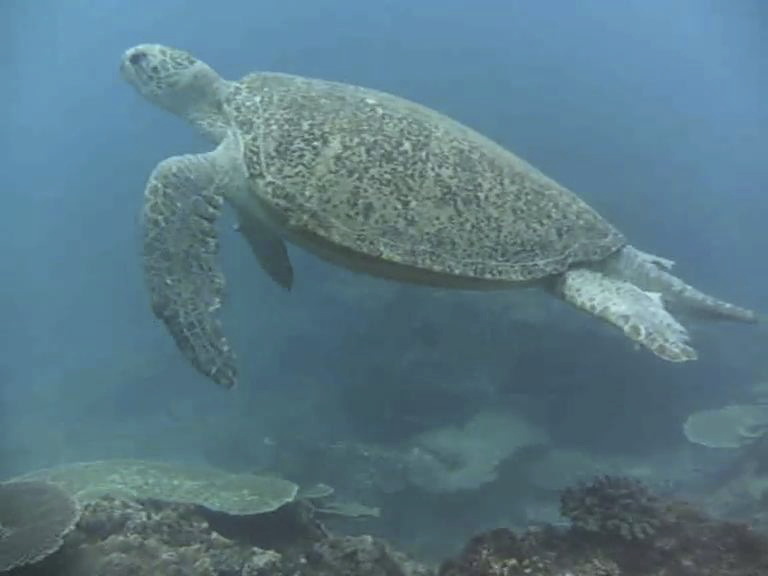 were almost a common site in the Two Mile Reef off the coast near Vilanculos (movie here). 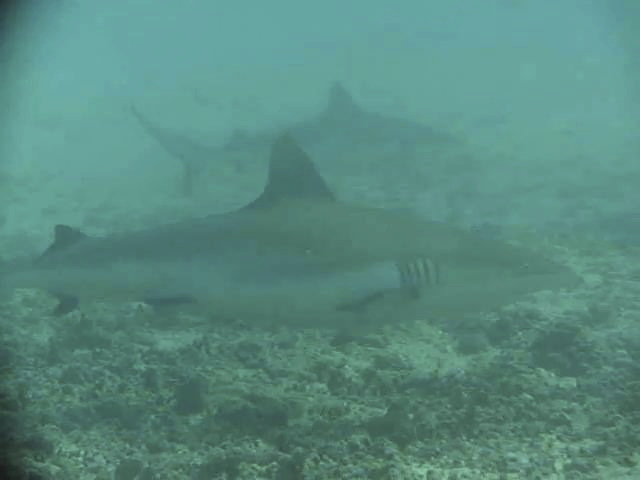 I think these are reef sharks (Carcharhinus) but I’m not sure (movie here). 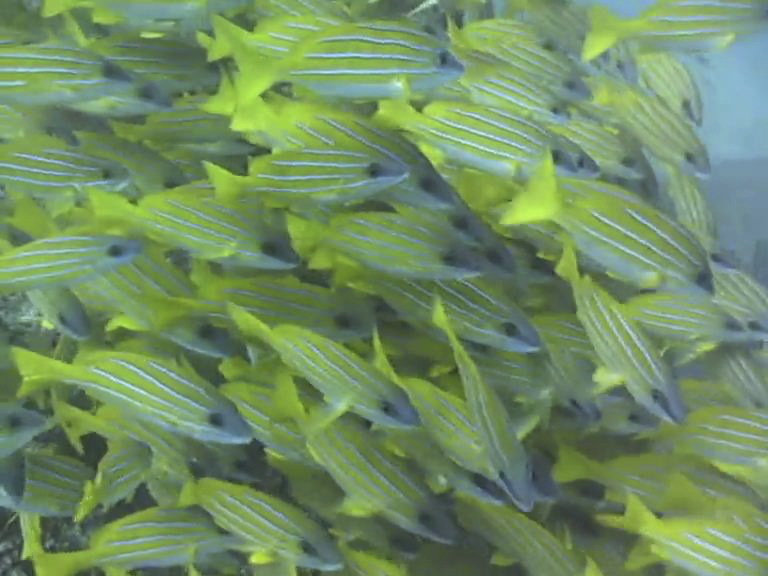 And finally I don’t know what the fish species in this shoal is (movie here). This entry was written by whyevolutionistrue and posted on January 29, 2019 at 7:45 am and filed under fish, fish and marine creatures, photography. Bookmark the permalink. Follow any comments here with the RSS feed for this post. Both comments and trackbacks are currently closed. I’d guess the fish with the fascinating hexagonal color pattern would have “leopard” in its name? 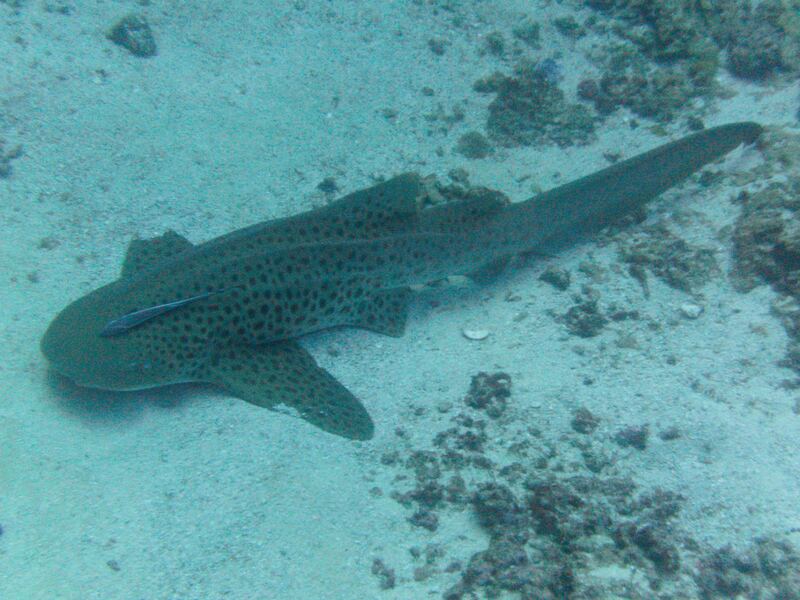 Otherwise I don’t know..
First one is probably some type of grouper, the school of fish at the end is a species of surgeon fish another name for that family is also “tangs” named for the small scalpel concealed at the base of their tails. 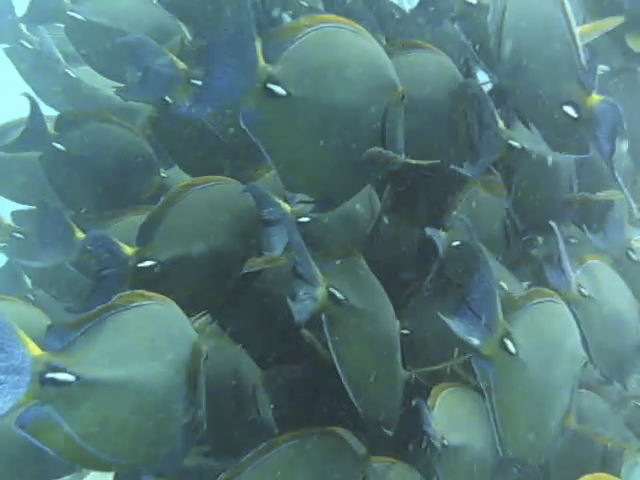 Surgeonfish species is Acanthurus dussumieri. Still don’t know about the other. 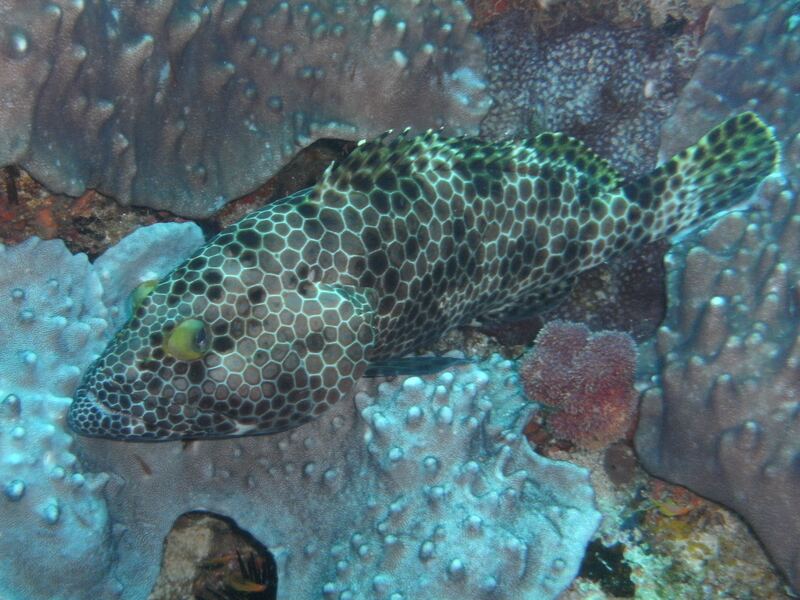 Looks to me like a ‘honeycomb’ grouper or cod; but the eyes aren’t the same. Those are Bette Davis eyes. I’d be inclined to call it “Ishihara”, but then, I’m colour blind. Ah, interesting! The fish does look like that sort of! Cool pictures! Other people got the IDs. Lion fishes are beautiful, but do not touch. 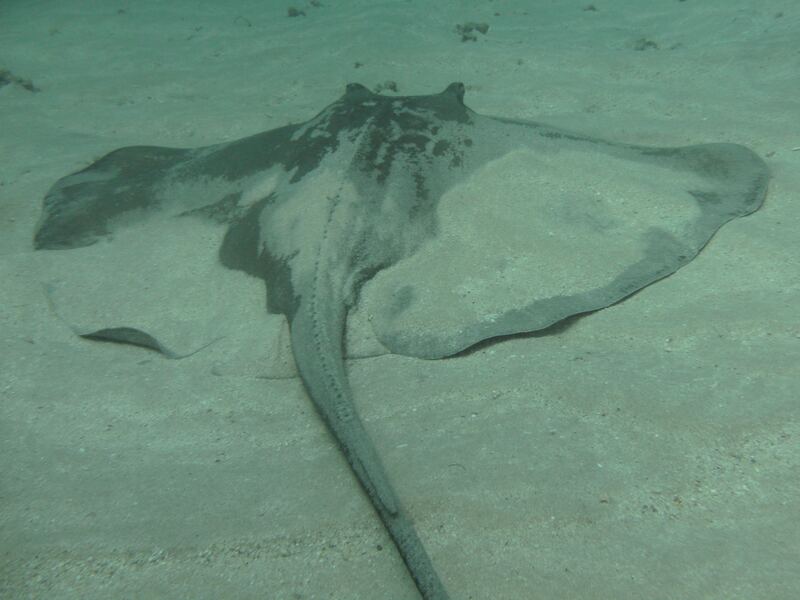 They are now a serious predator problem off of Florida b/c some idiot of course had released them and now they are invasive. Thanks for the compliment on the pictures. Though you may want to try some of the short video clips (the movie files are something like just 3-10 MB). I often find that taking video underwater gives nicer results than pictures. The pictures often suffer from white spots from light reflecting off particles in the water and picture colors get more ‘greened’ than in video. I love your work, Peter! Thanks!